I have a lot of friends of every kind of ethnicity and cultural background, and while my friends know better, I hear a lot of people saying that classical music isn’t relevant to them because it was written by “white” people. Unfortunately, this is so far from being the case that I hardly know where to begin to correct them. In fact, since the 1500s, classical music has been written by persons of every gender, race, and background. The problem is, that we’re not educated to believe it, and so in honour of Black History Month, I’d like to discuss the issue. Classical music is music written, generally, in the European style, beginning at the period of monophonic chant, and extending through, depending on your taste, the twentieth century. It follows certain forms which are too complex to explain for this blog entry, but everyone I know agrees that once you learn how to play and write it, it’s within the capabilities of any trained person. A few people know about Bridgetower, for whom Beethoven composed the so-called “Kreutzer” sonata (in fact Kreutzer deemed it unplayable). Some know about Samuel Coleridge-Taylor, (whom most people confuse with the English poet), but who was a composer. 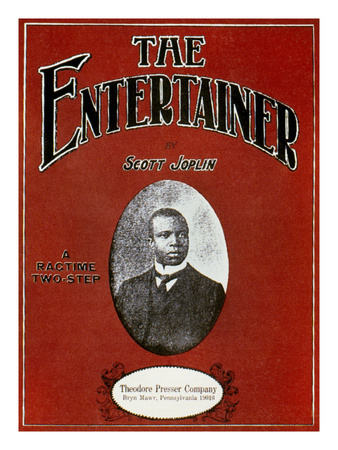 There are people who are aware that Duke Ellington composed an opera, Queenie Pie , and that Scott Joplin was black and also wrote an opera, Treemonisha . But in fact the knowledge of these artists only scratches the surface of black, hispanic, and even native American composers. If you’re thinking that classical music doesn’t relate to your particular heritage, I beg you to reconsider. In fact, by thinking that, you are depriving yourself of a very important part of your heritage, and dismissing as unimportant the works of wonderful composers. Classical music is not limited to what you hear on the local classical station, or what’s in your local store. So begin to educate yourself about composers who share your ethnicity, or other ethnicities, and then start talking to people and telling your local classical station, or your local performers, or your local CD merchant, that you want the works of these composers featured. For a start, try http://www.africlassical.com, or the Myrtle Hart Society, or check out my Classical Music FAQ page. Let people know that you care about the diverse heritage of classical music and that others do, too! UPDATE: I am currently researching a book on Central and South American Classical Composers. I am about halfway through the preliminary research (because the list of composers keeps growing). I will post an announcement when the book is available for download and other important developments.